I was experiencing a lot of pain in my left shoulder. The pain became so severe that I could barely lift my arm. Dr. Mark was the answer to all of my problems! After visiting him, I am back to my active lifestyle. I am working out regularly again and I am pain free. Dr. Mark is a very professional doctor with great interpersonal skills. I highly recommend Dr. Mark to anyone that is considering getting chiropractic treatment. Dr. Mark Franicevic has been awesome ever since my first visit. I was nervous about seeing a chiropractor before I came, because I had never been to a chiropractor before. He made me feel really comfortable from the first visit. I recommend him to anyone who is experiencing any discomfort. I am very thankful to have found Dr. Mark. Dr. Franicevic has been the answer to my prayers! After just a couple of visits I have noticed significant improvement with my pain management and mobility after suffering for years with sciatica. Dr. Franicevic is very thorough and explains things to you. I am hoping Dr. Franicevic will be right here in Smyrna, TN for years to come. He is a highly intelligent doctor. I am really happy and excited to say that within one month of receiving chiropractic treatment, the pain I had in my lower back is completely gone. I’m feeling great. I am up to 3 miles again. I work out at least 4 times a week. I’m in the gym. I’m riding my bike. It feels really great to be healthy again, and I have Dr Mark to thank for that. I really enjoy coming to Dr Mark. He is excited about what he is doing. Since I have started on the Standard Process supplements, my skin is more supple. I sleep better, and I feel better. I totally recommend seeing Dr Mark for chiropractic care and the supplements. Dr. Mark is personable, caring, listens, and excellent at his work. He goes beyond the average visit to get to the root of my problems. He’s A+ in my opinion. Dr. Mark is fabulous! He fixes the right or exact areas that I am needing and I feel so much better after. I have been a patient for approximately three years. I am so grateful to have found Total Body Chiropractic! The staff is always caring, helpful, and knowledgeable not only for chiropractic treatment, but nutritional supplements, as well. I highly recommend Total Body Chiropractic to anyone focusing on a healthy lifestyle. Awesome doctor, I walk out feeling wonderful after my treatment each time. I would gladly give a referral on Dr. Mark, because he really does care about his patients. I was referred to Dr. Mark by a friend. After my first visit, I’ve been a different person. Dr. Mark listens to you so he can better care for you. He truly cares about you getting better. I’ve been seeing him over 5 years, he really keeps me going. Wow, where do I even begin? Dr. Mark has been an absolute God sent! My husband and I began coming to Total Body Chiropractic in October 2015. We have had nothing but the best treatment. Dr. Mark truly cares about his patients, it’s definitely not about the job or paycheck. He really cares! 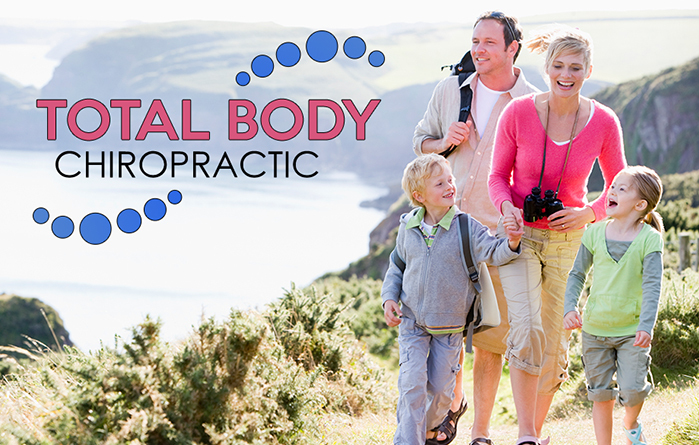 When you are ever in need of any chiropractic treatment, contact Dr. Mark & his staff. After 10 years and counting as a patient, I wouldn’t trust anyone else but Dr. Mark with my chiropractic care! When I’m falling apart, Dr. Mark puts me right back together! A+ rating from me! I like to work hard, play harder, and then see Dr. Mark so I can do it all over again! Dr. Mark is the only chiropractor I trust for myself and for my family. We began coming to Dr. Mark in Jan. 2016, primarily for my husband and I. He has treated us, our 9 year old son, and our 14 year old daughter. Dr. Mark uses multiple different techniques specific to the needs of the patient and their level of comfort with the adjustment. He is always very thorough in his exam, making sure he fully understands the primary cause for the visit and any issues contributing to it. The BioMeridian machine is very helpful, it is very scientific. Within just a few days of taking Standard Process supplements, my allergies were 100% better. I had joint pain in my wrist that really hurt and that is completely gone. I had terrible allergies, and within one month of taking Allerplex my allergies were completely well. I have done the BioMeridian testing, it was really wonderful. I recommend it to all my friends and family members. The supplements have really been a lifesaver. I would recommend it to anybody who wants to see a vast improvement in their health. I now have more energy and feel better!